You must be a member of the Miami Passage to East Group to attend this activity. Would you like to join this group? It's time again for IndiaFest! Truly one of the more outstanding cultural events in the area - you'll definitely want to experience this. 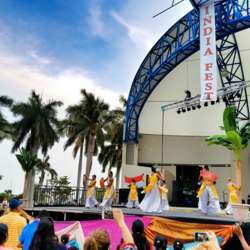 IndiaFest celebrates the rich, ethnic, and cultural diversity of India and offers something for everybody. It's become one of the premier events in South Florida, with tens of thousands of people attending every year.